dry skin, damaged hair and post holiday blues? Shabir has all the answers..
Take Omega 7 supplements as soon as you are back from holiday. 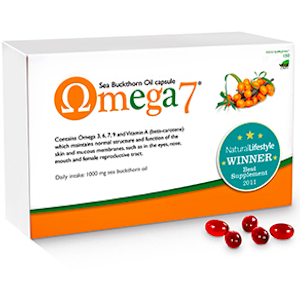 Omega 7 is a rarer polyunsatured fatty acids found in abundance in sea buckthorn seed and fruit oil and in nuts such as macadamia nuts. It works to replenish lost lipids within skin and is used to tackle dry, dehydrated skin which may occur as a result of longer than normal exposure times to the sun and of course to the water. Omega 7 has been the subject of several studies indicating its effectiveness for many types of dry skin concerns on the face and body. It has even been found to be effective for vaginal dryness. That said, Omega 7 is not just for dry skin. Harvard Medical School applied for a patent for the discovery of palmitoleic acid (Omega 7) because it has been found to reduce bad cholesterol (LDL) and improve good cholesterol (HDL). Like most essential fats, it reduces inflammation markers within the body, it suppresses fat production and fat accumulation and may be used to fight weight gain. It also helps lower sugar resistance – in type 2 diabetes, the body’s cells become resistant to insulin which means increased sugar in blood and increased insulin being produced – both are not good and actually toxic. Omega 7’s are known to double up glucose uptake by muscle cells thereby keeping sugar levels at a healthy level. I am also a fan of Prickly Pear Seed Oil to be used at night as a facial treat maybe daily or every few days. Prickly Pear Seed oil contains the highest concentration of regenerative vitamin E of any other beauty oil and is rich in Omega 6 and Omega 9 fatty acids especially unsaturated linoleic acid (62%) which helps to tackle even the most dry, dehydrated skin. Acne sufferers usually have high levels of oleic acid (mono saturated Omega 9) which is pore clogging. Linoleic acid improves sebum texture so it is great even for acne-prone skin. I always up the ante of green foods after my holiday. I increase my intake of all the leafy and non-leafy greens because often I will have indulged on my vacation with what we term acid-producing foods which may include dairy products, meats, potatoes and tomatoes. Our bodies are designed to work in an alkaline environment and the only organ that is required to work in an acid environment is the stomach which is required to break down food so that nutrients can be extracted from these. provides fibre to support digestion and is packed with energising chlorophyll. It also provides plant based protein. If you simply cannot eat several portions of greens on a daily basis then consider a supplement such as Aduna Moringa Green Superleaf Powder. Why Moringa and not the usual spirulina and chlorella supplements? Lots of people take spirulina and chlorella however I am not a great fan of these because some people can end up with side effects – remember these are algae that are grown in tanks etc and there may be other species of these algae that may be contaminants in these supplements. Some people complain of migraines, green discolouration of stools, fishy smell etc. Also don’t forget that these greens are filtering organisms so they may filter heavy metals and so on. It is far better to use Moringa Geen Superleaf Powder. The Moringa tree, also called the Miracle Tree, has long been revered for its medicinal properties. The leaves are super dense, packed with 5 major nutrients and a host of other minerals and trace minerals. 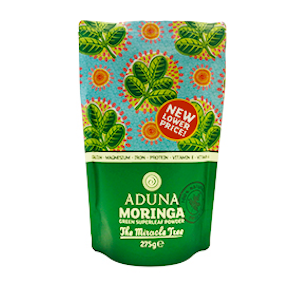 What makes Moringa special is that it is also packed with antioxidants – 6 x more antioxidants than goji berries! Additionally Moringa contains 23% plant protein, amino acids and 24% fibre. But the best thing about this powder is that it has an earthy taste similar to spinach but not as earthy as say beetroot. The best thing is that you can use it directly as a seasoning on salads or mix into smoothies etc without the taste sensations of the algae supplements. Your microbiome is the environment within the gut containing trillions of beneficial and some bad bacteria. During your holiday, you may have exposed the gut to bad bacteria through food or tainted water etc which may lead to less than optimal digestion. Of course an excess of sugars in your diet during the holiday may feed the bad bacteria knocking out the good ones. There has been controversy in recent editorials in the Daily Mail about probiotic drinks being not beneficial at all. I have my opinion on this subject and have always stated that probiotics drinks have to pass through the harsh acidic environment of the stomach which is why the good bacteria can get destroyed. With supplements you are getting billions and so even if you do get some being destroyed at least some will pass by. The benefits of probiotics are that they manufacture immune enhancing compounds, they detoxify the gut, prevent bad bacteria from getting a hold within gut and manufacture energising B vitamins. 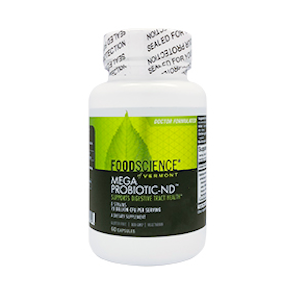 A quality probiotic to aid digestion would be Mega Probiotic ND which provides eight strains of acid resistant bacteria which can colonise the gut and perform their myriad of roles including helping to break down food more efficiently. 1/ By far the most common cause of bloating is the last thing we discussed which is a lack of digestive enzyme production. Our digestive enzyme production decreases dramatically from the age of 20 and by the time we reach our mid-40’s it is half what it should be. 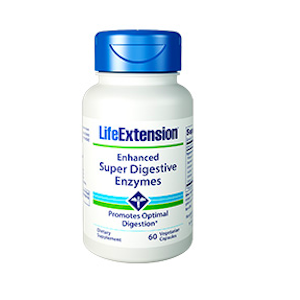 Aside from a lack of digestive enzymes due to age, digestive enzyme production is also affected by: Stress - cortisol shuts down digestion because it sends signals to flee. Exposure to artificial colours and preservative. Inadequate nutrients. Improper chewing of food since chewing starts the salivary enzyme production which in turn then helps the release of other digestive enzymes. Break down all food groups – protein, carb, fats and fibres. Enhance nutrient availability since breaking down food efficiently helps extract nutrients – in fact one of the studies showed by 200% increase in major minerals availability using digestive enzyme supplement. Reduce gas producing foods such as cabbage, sprouts etc and consider replacing these with cucumbers, asparagus, avocados and papaya. Reduce salt intake especially before menstruation because excess salt causes water retention. Chew food slowly which helps reduce amount of air taken in. Cut down of carbonated drinks for obvious reasons. Drink ginger and /or peppermint tea which can help digestion. Ginger enhances digestive enzyme production whilst peppermint relaxes muscles in the intestines allowing for ease of movement of food and gas. 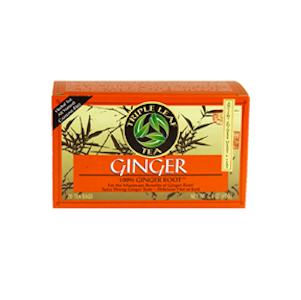 There are many ginger teas on the market but the one that I recommend is Triple Leaf Tea 100% Ginger Tea. For a few days after my vacation, I tend to soak in a baths containing Magnesium Flakes. Why magnesium flakes? These not only replace the very important mineral magnesium which works to: involved in 300 biochemical reactions within the body, energise the body, detox the body, effective for compromised skin conditions such as eczema, psoriasis and dermatitis, replenish lost magnesium through sweat and also tackles deficiencies. This is not the same as using Epsom salts – magnesium flakes contain magnesium chloride which is easily absorbed into the body unlike Epsom salts which contain magnesium sulphate. 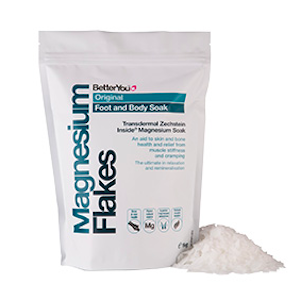 The effects of magnesium flakes are far more intense than Epsom salts. Some people come back after a holiday and end up feeling a bit down or slightly depressed. It is not uncommon because often the next holiday is several months away. For some people, holidays are a time to reflect on the quality of their lives, the direction they have taken and perhaps even their happiness. Getting back into the humdrum of a routine can result in the symptoms of anxiety, stress and even a mild form of depression. 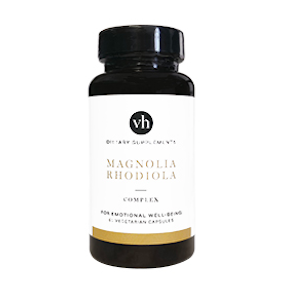 For these people, I tend to recommend the use of Magnolia Rhodiola Complex. It is also important to get proper sleep. You may have been through the time zones that has affected your sleep pattern from jet lag. Jet lag occurs when you have been through two or more time zones and it puts your internal cycle of sleep and awakening out of sync. The combination of sun, salt water and chlorine may leave your hair dry, brittle and thoroughly parched. There are numerous products that can be used to protect the hair during your holidays however for those that have been affected, you may wish to invest in something like Ionicell. 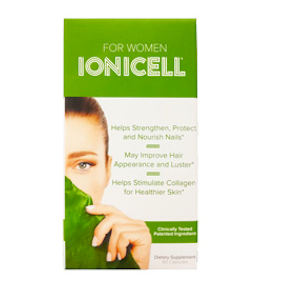 Ionicell nourishes the hair from within the body with fulvic acid. Great for all hair types and remember its antiageing benefits for skin too. Independent tests confirm 14% improvement in hair condition and shine. Excess sun won't damage your nails but water will! Nail plate is 10 times more absorbent than skin so when the water evaporates from the nail plate it can strip it of oils and natural moisture drying out the nail causing splitting, peeling and reduced strength. 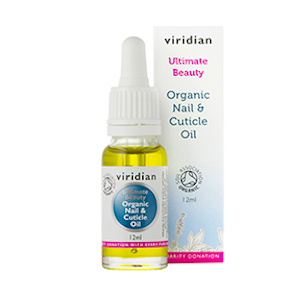 Viridian’s Organic Nail and Cuticle Oil contains sunflower and jojoba oils to replenish natural oils as well as silica from the herb horsetail to impart strength to the nails. Rosemary, lavender and lemon myrtle are all known for their antifungal and healing properties. And of couse Ionicell – protocol studies indicate 142% increase in nail growth. This is a supplement designed to build up energy reserves whilst you sleep so that when you wake up you feel refreshed and ready to go and you are not going to hit the snooze button in the morning when your alarm goes off. 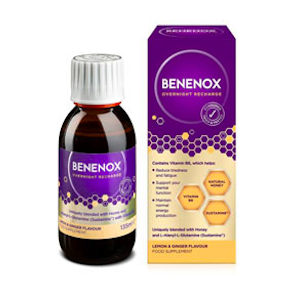 Benenox Overnight Recharge contains a patented complex of honey, vitamin B6 and Sustamine. Taking this liquid at bedtime, you are going to maximise your potential through the day because of the increased energy you have stored overnight. Honey has the perfect blend of fructose and glucose to support your liver’s role of maintaining energy. Your liver turns these sugars into glycogen which your brain needs during the night for the repair processes that occur within it. In this way your brain won't think that you are running on empty and trigger a fuel crisis which would wake you up in the middle of the night – so basically you may also as a side effect enjoy restful sleep. This increased glycogen storage in the liver which will be useful during the day for energy and for preventing the afternoon slump. Sustamine: A patented combination of amino acids that slow down your digestion so that the liver can carry on storing glycogen. Although you are fasting whilst you are sleeping, the body’s greatest repair occurs during this period and glycogen is required for this. As long as you have sufficient glycogen, the repair can continue and the reserves of glycogen carry on building. Vitamin B6 is one of the nutrients known to enhance the production of the energising molecule called ATP within each and every cell of our bodies. Benenox is not aimed at sending you to sleep! Its aim is to stay asleep for longer periods of time and to wake up feeling refreshed. Benenox is NOT suitable for children under 12, diabetic, during pregnancy and whilst breast feeding.